Secure your home before it's too late. It's no secret that burglars target properties without security systems. In fact, police say that homes without alarms are 20 times more likely to be burglarized. * If you're not protected, that makes your home a target. Plus, we offer a full line of Life Safety Devices — providing additional protection against life's most unexpected events, such as gas leaks, freezing pipes, water leaks and more. 24/7 monitoring. Total peace of mind. Our award-winning, 24/7 monitoring center keeps your home protected at all hours of the day. 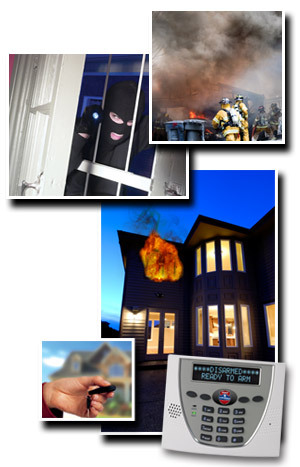 When an alarm is triggered, our highly trained operators quickly dispatch emergency responders to your home. Learn more about our 24/7 monitoring services. Rest easy knowing your home is protected by the best security technology available today. You can set the exact level of security you want, or we can build a system based on your needs. It's simple to operate, and 100% secure. Take a closer look at our advanced alarm systems.